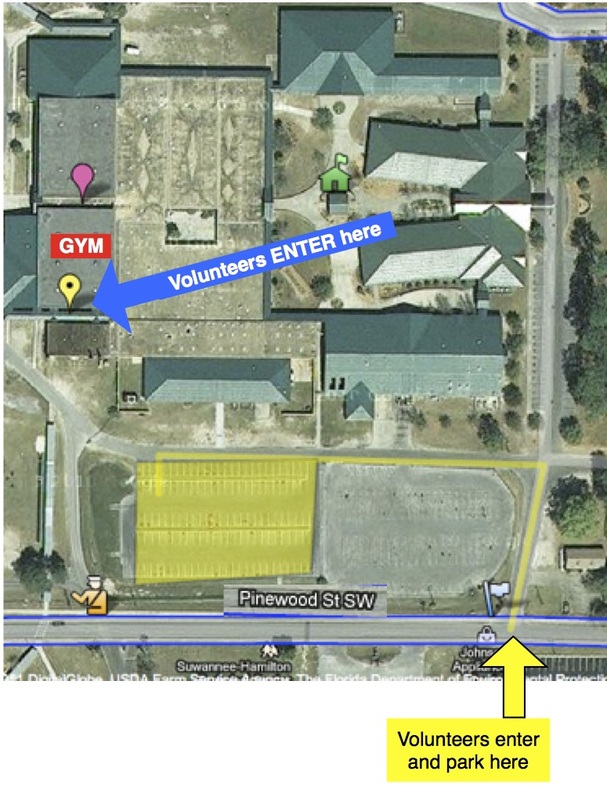 You may pull up to the back door of the gym to set up your table on August 3, 2018 from 4pm to 6pm. If you prefer to wait until Saturday morning, you may do so, but you will NOT be able to park this close. The gym will be locked overnight. We will open the gym for vendors at 8am on August 4, 2018. 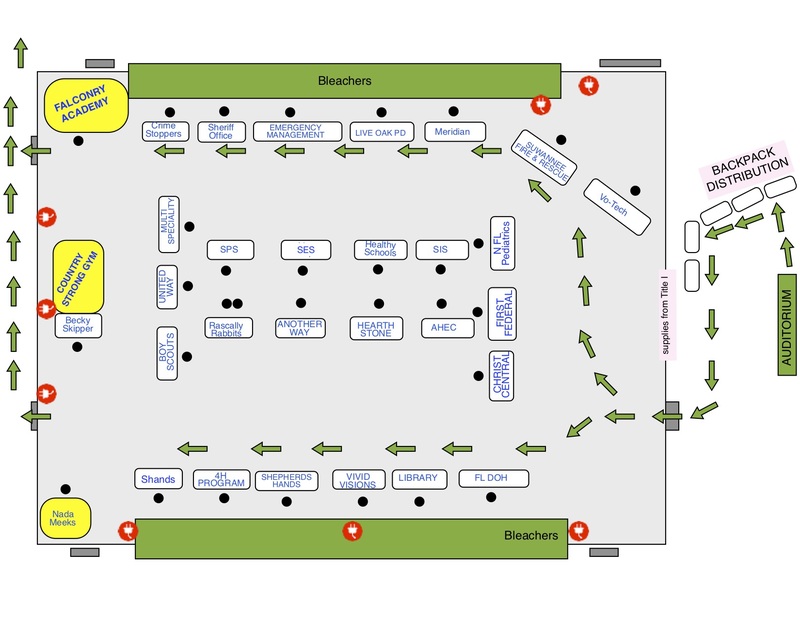 Vendors and volunteers should enter the SHS Campus at the Pinewood Drive / Pine Avenue entrance, then proceed GYM.